Violent clashes broke out Tuesday morning between school students and Israeli soldiers in the southern neighborhoods of al-Khalil city as well as in al-Khader town, west of Bethlehem city. Local sources told Quds Press that dozens of students suffered from effects of inhaling tear gas during skirmishes with Israeli soldiers in al-Khalil. 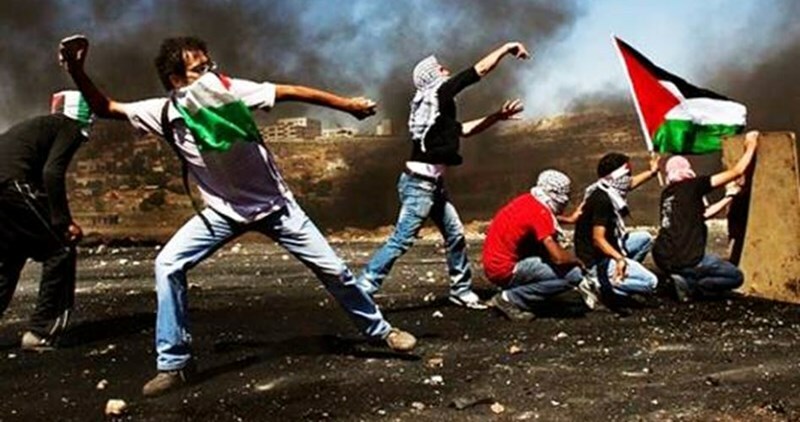 Similar clashes also took place between school students and soldiers in al-Khader town in Bethlehem. Local sources said the events started after Israeli soldiers deployed near some schools in the town behaved provocatively with students. 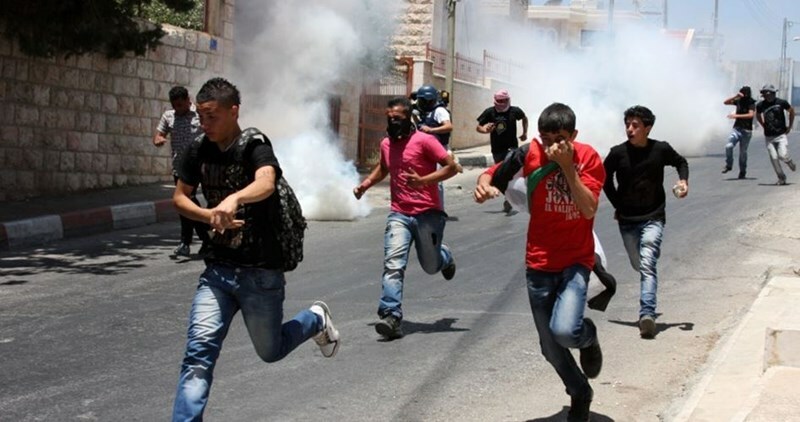 More than 20 school students in the Palestinian village of al-Khader, south of Bethlehem, choked on teargas at noon Sunday after Israeli occupation forces (IOF) fired teargas canisters at their school. 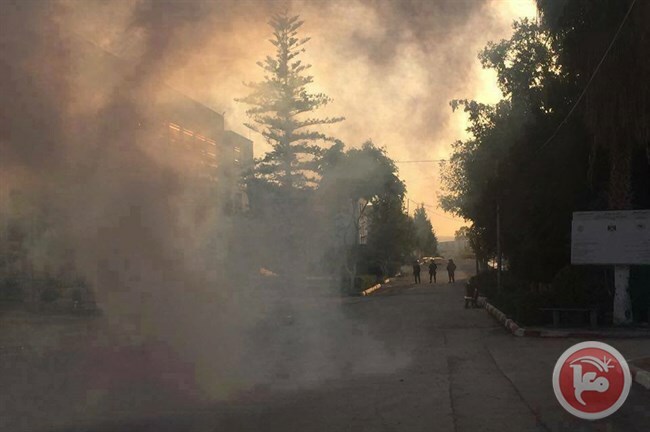 Local sources told the PIC reporter that IOF soldiers fired teargas bombs in the vicinity of the schools area, west of the village, leading to breathing problems among the students. Red Crescent ambulance crews extended assistance to the students, the sources said. They added that the soldiers deliberately fired teargas at local houses near the schools triggering clashes with the inhabitants. Several students suffered the effects of tear gas inhalation, Thursday, after Israeli soldiers fired many gas bombs on them in Hebron city, in nearby Beit Ummar town, in the southern part of the occupied West Bank. Medical sources said several girls of the Zahra’ School, and boys of Tareq School, received treatment for severe effects of tear gas inhalation. In Beit Ummar town, north of Hebron, several girls, of Zahrat al-Madaen school, also suffered the effects of tear gas inhalation, after Israeli soldiers fired gas bombs into the school. The Israeli occupation forces (IOF) stormed on Sunday morning two schools in al-Khalil, sparking fear among schoolchildren. Activist Rateb al-Jabour said the Israeli occupation army rolled into Yatta town and violently searched al-Majaz school, generating a remarkable state of terror among the students. The IOF summoned one of the school staff, Moussa Abu Aram, for questioning. The occupation troops further stormed al-Musafir basic school and wreaked havoc on its classrooms. In a related development, violent clashes burst out in al-Khader town, in Bethlehem, after the IOF targeted schoolchildren with randomly-shot volleys of tear gas canisters. At least 9 Palestinian students were shot and injured on Sunday when clashes broke out with Israeli forces outside a university in the occupied West Bank city of Tulkarem. 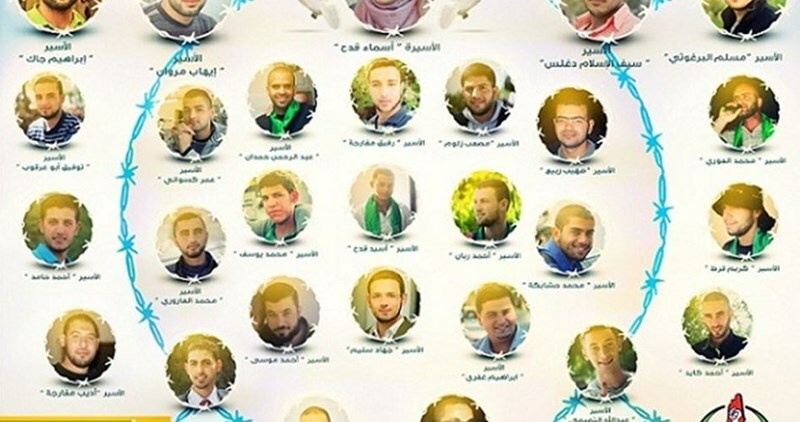 Birzeit university in Ramallah has said that over 90 of its students, teachers and employees are still detained by Israeli military and security apparatuses. In a press release on Friday, the university strongly denounced the fierce arrest campaign which the Israeli occupation forces had launched lately against its students and cadres. The university affirmed that it would address different academic institutions around the world as well as human rights and legal groups to expose Israel's violations against the Palestinian education sector. 15 Palestinian teachers have been kidnapped in the West Bank and Jerusalem by the Israeli occupation forces (IOF) since the outbreak of al-Quds intifada (uprising) in early October, according to an official source from the ministry of education. During the same period, the IOF detained dozens of teachers and prevented them from reaching their schools, especially in al-Khalil. 40 others also suffered tear gas and bullet injuries in the last two month during IOF campaigns and attacks in the West Bank and Jerusalem. In a related incident, the IOF at dawn Monday kidnapped principal of Beit al-Maqdes school Haifa Abu Ramila from her house in al-Khalil city. It does not seem that there is a school between dozens of Palestinian tin-made homes located at what is known as al-Mu'arrajat road connecting between Ramallah city at the center and the city of Jericho at the east of the West Bank. However, a number of ferrous caravans are named by the residents of the area as "Arab al-Ka'abneh School". It is the only school in the area and includes 65 students who receive their education up to the ninth grade. It seems that those students will lose their right to education, as the Israeli occupation authorities (IOA) notified the school, which is named after the inhabitants of the region, that it would demolish it. Another kindergarten in the same location was notified of demolition also, in the middle of last November under the pretext of "building without a permit". Mahmoud Ajrami, director of the school, told Anadolu News Agency that "the IOA notified the school of demolition under the pretext of building without a permit in an area classified by Israel as Area C according to the Oslo agreement signed between the PLO and Israel in 1993. He added: "The IOA has notified the school with demolition many times ... they want to deport the residents here out of these areas for the benefit of settlement construction and the Israeli farms in the region." Ka'abneh Arabs are Bedouins, who have been living in the Jordan Valley before the Israeli occupation of the West Bank in 1967; they lived in tents, and then turned to live in houses made of tin. These Palestinians had built the school in 1968, which was a tent until 1987, then the first classroom was made up of tin, today it is a set of ferrous caravans. Near the school there are huge water tanks, which are under the control of the IOA that prevents Palestinians from using them, according to Ajrami, who said: "Water tanks are just a few meters from the school, but they prevent us from using it." Ajrami indicated that the teaching staff and parents said that even if the school is demolished they insist on providing education for students in it. Ajrami pointed with his hand to some trees in the school yard, and said: "see these trees, we have also been notified that they will be uprooted, the IOA does not want to keep any appearance of life here." The road to the school is a rugged dirt road; where tin-made houses are located that belong to a population of Bedouins, living on livestock, and using the mountains of the Jordan Valley as pastures for their goats. 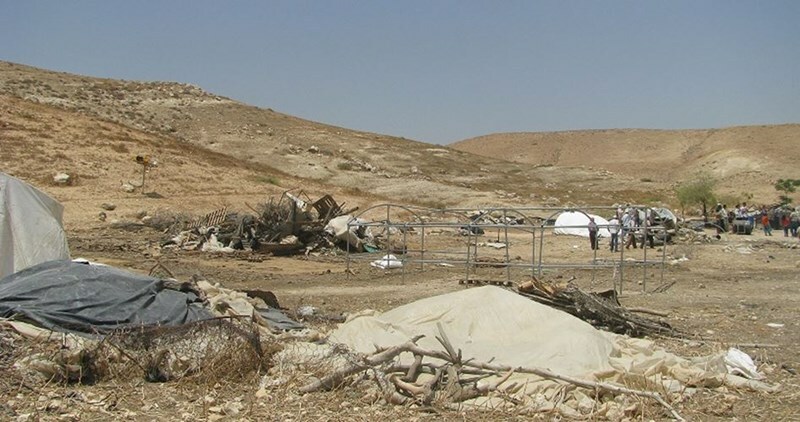 About 10 thousand Palestinians live in the (Palestinian) Jordan Valley in houses made of tin and tents, and are prevented by Israel from the construction of houses of cement and stones. Israel considers this region as its economic and security reserve, so it always wants to maintain a security presence in the area whatever the situation with the Palestinians is; but the Palestinians say they will not build their own state without the Jordan Valley. Students at the Ka'abneh School race at the break to play with swings and simple games, which are not in a good condition in the school yard. They say that they are "dreaming of a better future, but they fear of the demolition of their school and the demolition of their dreams." Hisham Suleiman, a student at the school, aspires to become an engineer to work on building houses and schools in those arid slopes. Suleiman added in his talk to Anadolu News Agency: "they do not want us to live in peace, they want to demolish our houses and school, but we will re-build them if they did." The child said smiling: "I want to be an engineer so that I can make my village better and build good houses." Asia Mileihat, a female student in the eighth grade, told Anadolu News Agency: "we are always suffering from the Israeli army restrictions; they do not want us to build anything. They want to demolish our school, and impede our education". She added: "we will not leave... We will stay here even if our school and homes are demolished, we will not leave our place to the greedy Israeli settlers." While sitting on her school bench, Mileihat said: "This school is all that we have; we will rebuild it if it is demolished." The school uses electricity from solar cells, but not sufficient, according to Yusuf Daraghmeh, an instructor of technology at the school. Daraghmeh told Anadolu News Agency: "Non-availability of electricity is a major impediment in teaching technology for students who will attend other schools and universities later in their life; they will have difficulty in higher grades and in dealing with the modern means of communication, especially computers". Daraghmeh uses his laptop to compensate for part of the students' educational needs. Israeli soldiers kidnapped, earlier on Thursday, four Palestinians, including two children, in several neighborhoods in occupied East Jerusalem. Israeli extremist attack children in Hebron. The Wadi Hilweh Information Center in Silwan (Silwanic) has reported that the soldiers stormed homes in the Old City, searched them, and kidnapped a child, identified as Ahmad Salayma. 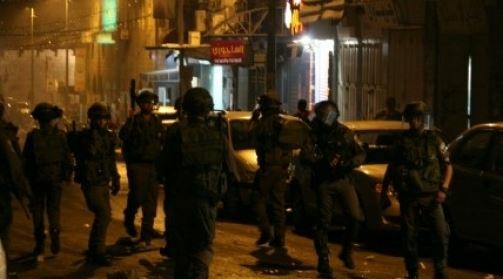 The soldiers also invaded homes in the ath-Thoury neighborhood, in Silwan town, and kidnapped Ashraf Haroun Borqan, 14. Another Palestinian, identified as Ibrahim Zayed, was kidnapped from his home in the Qalandia refugee camp, north of Jerusalem. In addition, undercover Israeli soldiers kidnapped Saif Mohammad Abu Latifa, 15, near the Qalandia terminal. 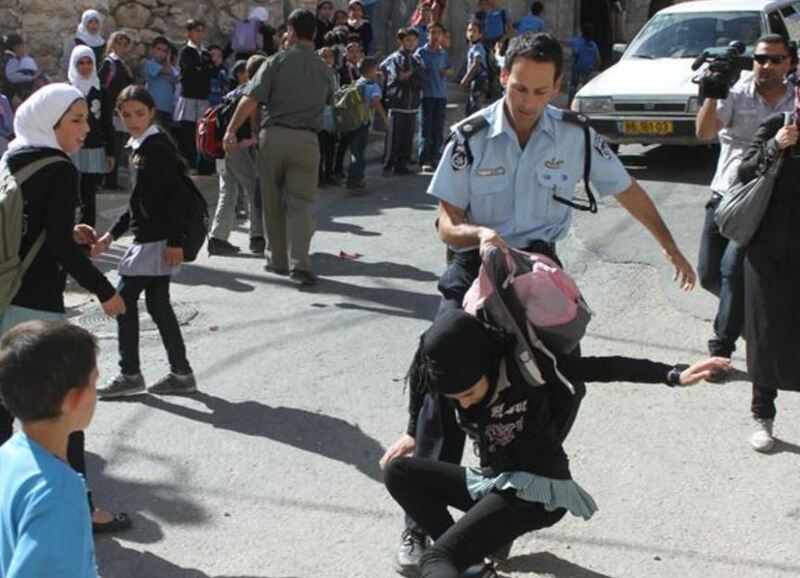 In Hebron, in the southern part of the occupied West Bank, a number of extremist Israeli settlers attacked several female students and teachers of the Qortoba School, in the Shuhada Street. Radio Bethlehem 2000, in Bethlehem, has reported that the extremists, headed by Anat Cohen known for extremism, attacked the students and teachers while walking towards their school, close to the Beit Hadassah illegal colony. 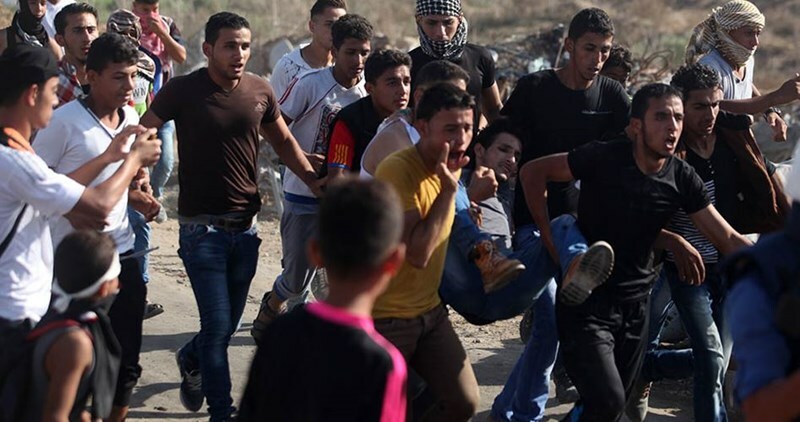 School headmistress Noura Nassar said the soldiers allowed the students to cross, but the settlers attacked the children, in front of the soldiers, and forced them back. Nassar added that the students and teachers alike face ongoing violations by the soldiers and fanatic settlers, and that they are repeatedly forced to take alternative routes, and dirt roads, to reach their school. Israeli fanatic settlers on Thursday morning stormed the Qurtuba School in al-Khalil province and attacked teachers and schoolgirls. A PIC news reporter said hordes of extremist Israelis attacked schoolgirls and instructors at the Qurtuba School, in the southern occupied West Bank, and prevented other pupils and teachers from reaching their classrooms after they hardly managed to pass through Checkpoint 56, near the Shuhadaa Street. Meanwhile, the Israeli occupation soldiers stormed, at the crack of dawn, the family homes of a number of slain Palestinians across the city. A PIC news reporter identified the slain Palestinians, who got their homes ravaged, as Taher Funun, Mustafa Funun and Abdul Rahman Muswada, in a move aimed at paving the way for a projected demolition procedure. The occupation soldiers further rolled into al-Khalil’s southern neighborhoods and wreaked havoc a number of civilian homes. 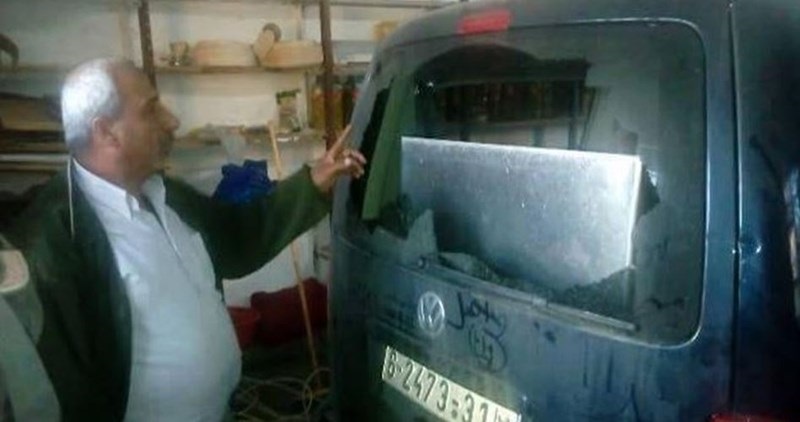 Earlier, on Wednesday evening, the Israeli army claimed responsibility for the abduction of three Palestinian youths from Jenin city, in the northern occupied West Bank, on allegations of attempts to carrying out a stabbing attack in Afoula city, in 1948 Occupied Palestine. At least one child was injured while several others were treated for shock after Israeli Occupation Forces (IOF) opened fire at a school bus while passing through an Israeli military checkpoint near Silwad town in Ramallah. 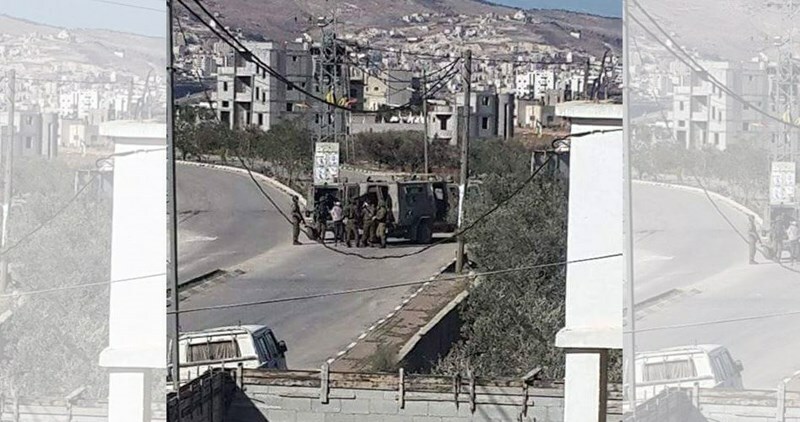 Local sources said that IOF soldiers stopped the bus for a few minutes before allowing its entrance to the town. Suddenly, the soldiers opened heavy fire at the bus, injuring a boy. A state of panic prevailed among the children following the shooting attack. Dozens of Palestinian vehicles were then stopped at the checkpoint for long hours. Shortly after the Israeli attack, clashes broke out in the area amid heavy fire of tear gas bombs. 25 Palestinian children were shot and killed by Israeli fire from early October till now in occupied Jerusalem, the West Bank, and Gaza Strip.